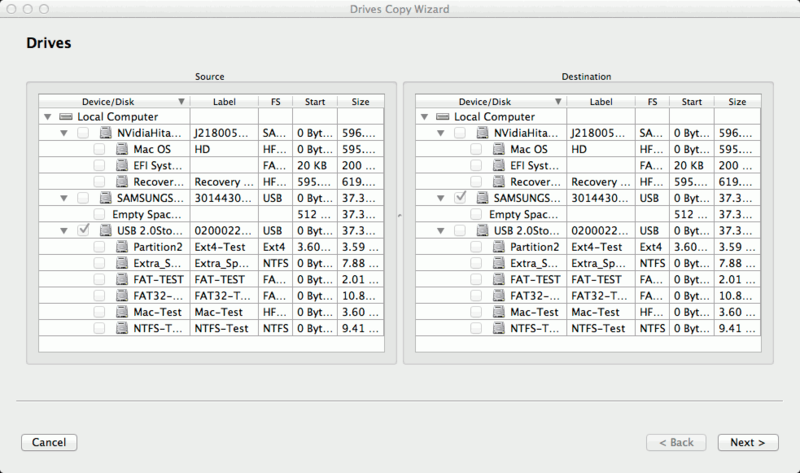 You may copy any object in the Drives panel to any other object, if there is enough space on the target one. Before Copy object to... becomes enabled on the Create menu, you need to enable writing. 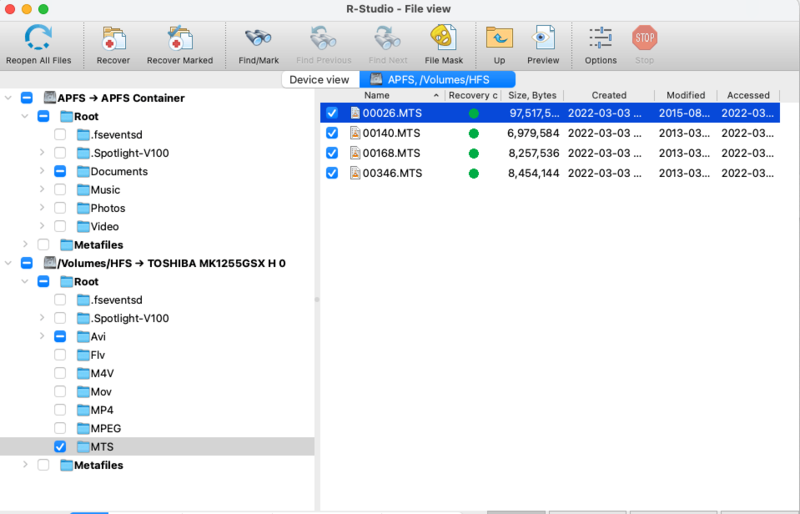 1 On the R-Studio main panel, select the R-Studio menu, then Preferences, and select Enable Write on the Settings dialog box. > The Copy object to... will be enabled on the Create menu. Now objects can be copied. An exact copy of the source object (or a part thereof) to the destination device (from its beginning or a specified offset). Any object may be copied to any object this way. > R-Studio will start copying data from the source object to the destination one. You may close the wizard by pressing the Esc key. Only partitions can be copied with this option to other partitions or empty spaces. 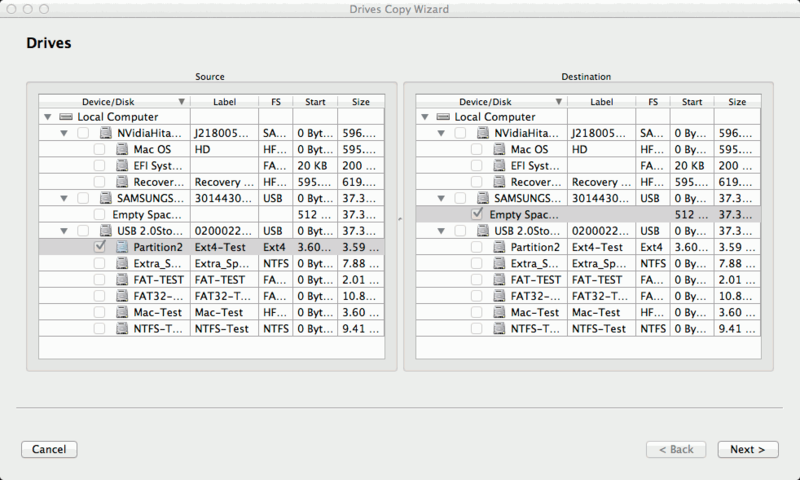 You may change some parameters of the the copied partition(s) on the destination drive. 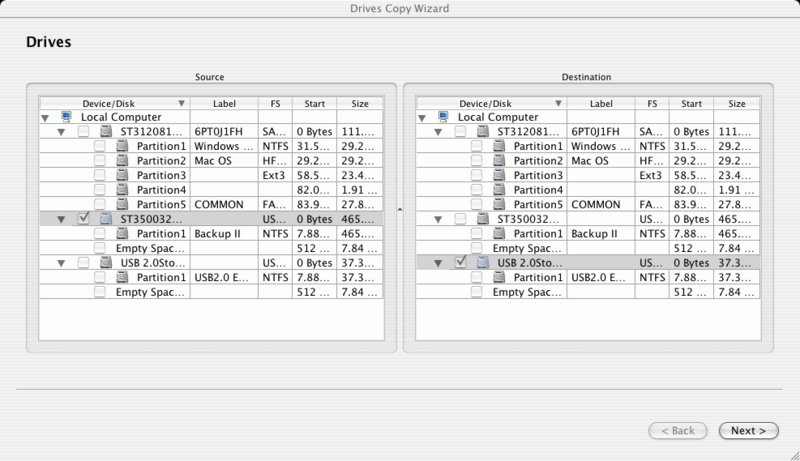 Specify the type of the partition to be copied. Do not change this setting unless you have serious reasons to do so. > R-Studio will start copying data from the source partition to the destination place. 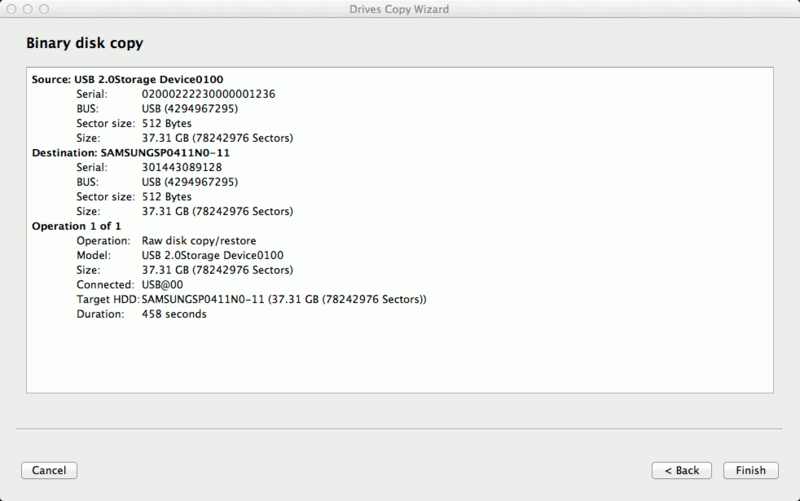 Only whole drives can be copied with this option to other drives. 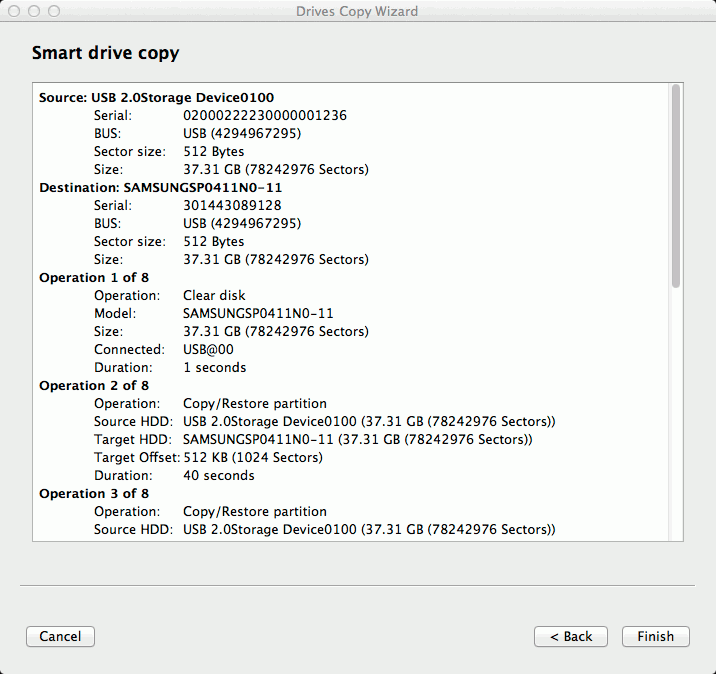 You may change some parameters of the copied drives. 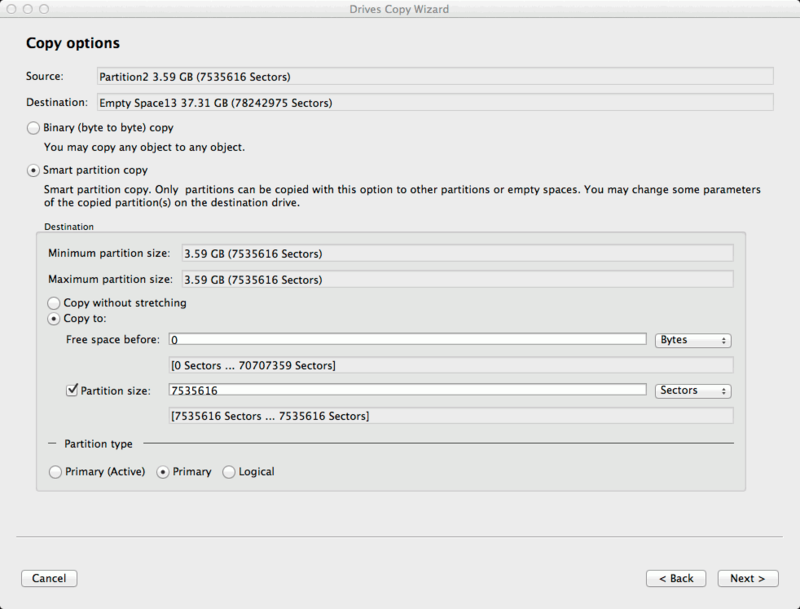 Select this option if you want to copy all partitions to their original places. 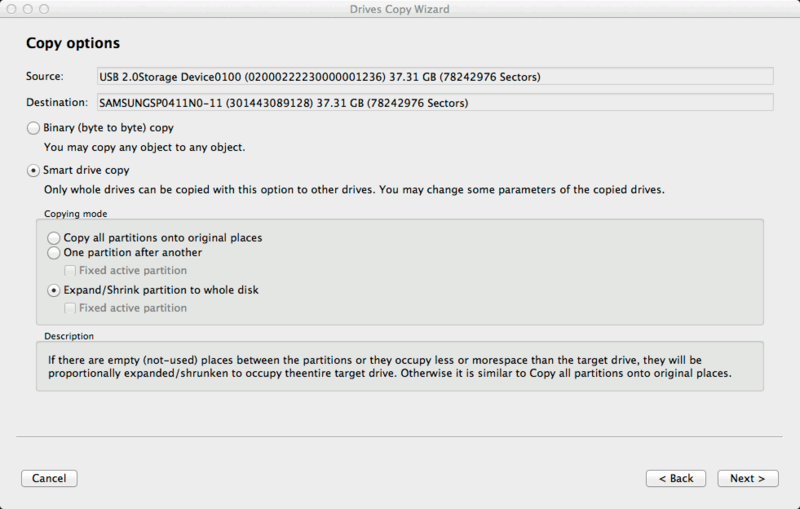 Select this option if you want to copy the partitions one after another preserving their space. If there is empty space between the partitions, it will be omitted. Otherwise it is similar to Copy all partitions onto original places . If Fixed active partition is selected, the original offset/size of the active partition will be preserved (in case the loader has links to it). 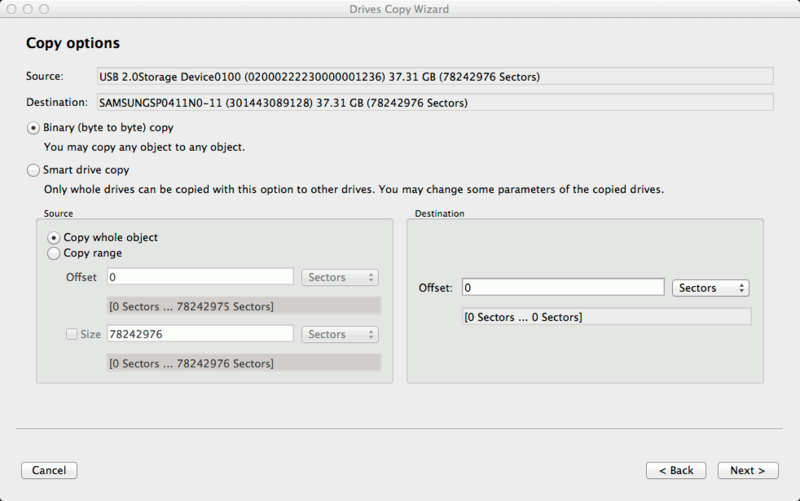 Specify this option if you want to proportionally expand/shrink the selected partitions to occupy the entire target drive.